In the summer months, the Radisson Blu Aqua Hotel Chicago&apos;s outdoor, rooftop pool (photo at top) is a top pick for families visiting the Windy City. 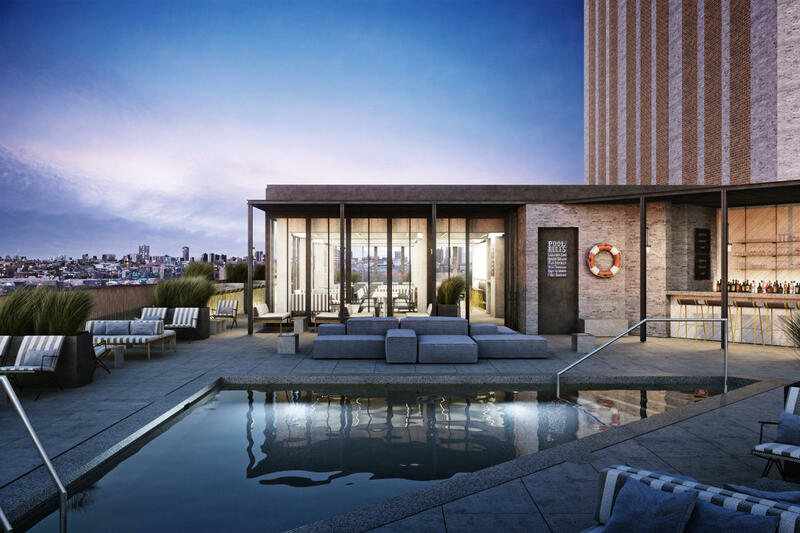 As one of the only outdoor, rooftop pools in Chicago’s popular downtown area, the Radisson Blu pool and terrace space is the perfect oasis for parents hoping for a moment of relaxation and kids that want to cool off with a splash. At Chicago&apos;s InterContinental Hotel, you can literally dive into an Art Deco treasure. 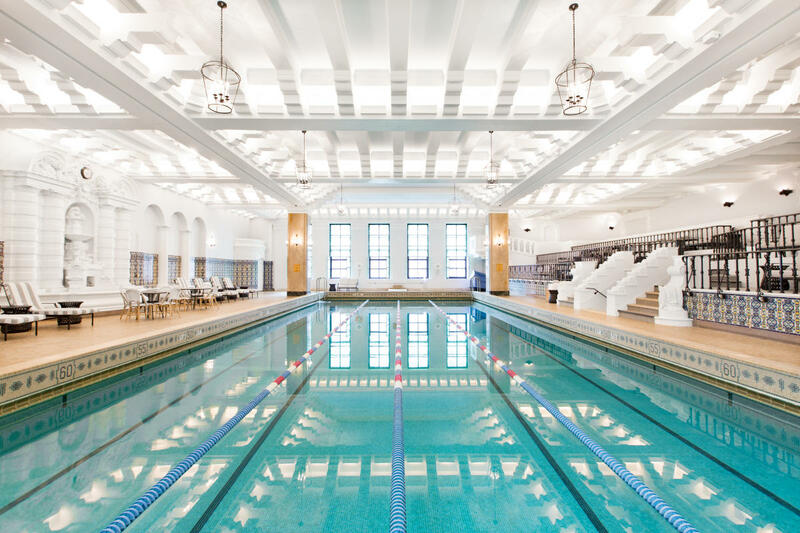 Located on the fourteenth floor, this stunning, indoor pool is commonly referred to as the Johnny Weismuller pool, a testament to the famous Olympic athlete and actor best known for his role as Tarzan, who once trained here. Dive in and imagine you&apos;re back in the 30&apos;s, when the pool was the place to make a splash in Chicago. Your kids might recognize this famous hotel swimming pool already: It starred as a backdrop in Home Alone 2 (Kevin loses his trunks while swimming here!). 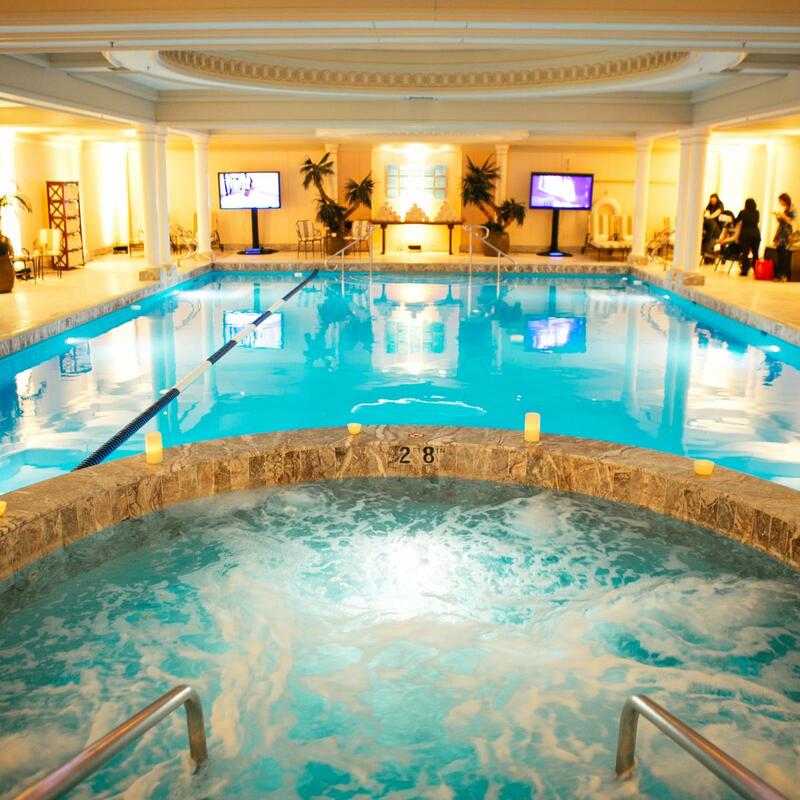 This hotel swimming pool is decidedly luxe, with its turquoise blue waters, classic columns and domed glass ceiling. 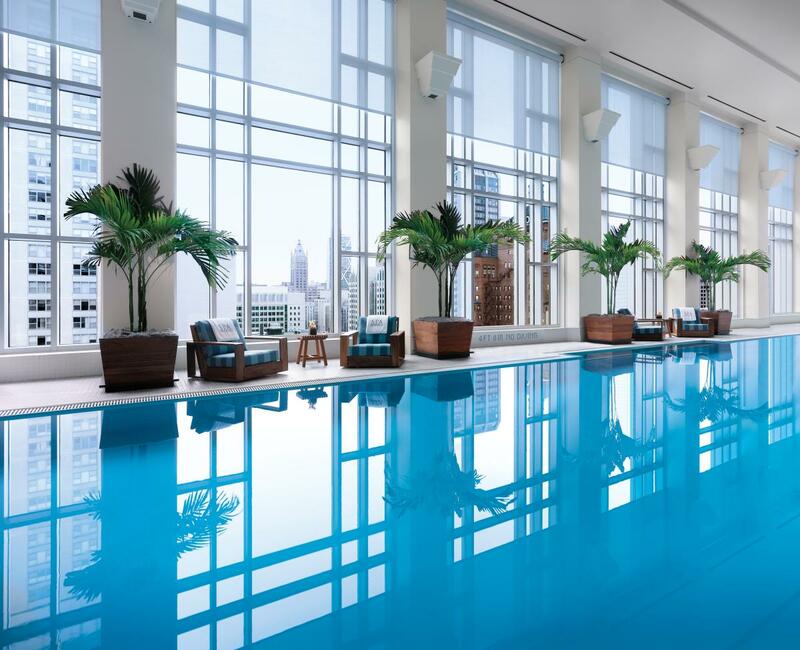 The Peninsula Chicago’s beautiful indoor pool&apos;s best feature is its view: located on the 19th floor, its 20-foot floor-to-ceiling windows offer unbeatable panoramas of Lake Michigan and the city. It&apos;s especially fun for kids in the wintertime, when they can enjoy indoor swim time while outdoors, snowflakes fall on the city. The 1929 landmark Art Deco Northwest Tower at the corner of Milwaukee, Damen and North Avenues was recently transformed into The Robey, a beautiful boutique hotel that deftly melds a storied past with modern hospitality. Beyond the pool time, fit in a day at the beach! Open from May (Memorial Day) to September (Labor Day), Chicago beaches along Lake Michigan offer free fun for families to splash and build sandcastles. That&apos;s just one of 20 ways to cool off this summer. Find more things to do with kids in Chicago, or check out this ready 2-day summer itinerary for families.